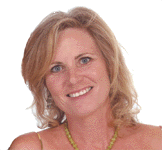 KidKonnect was founded by Lisa Wellons Rothfus. Lisa is a Licensed Psychotherapist with 23 years of experience working with individuals, families, groups, and schools. She received her undergraduate degree in Elementary Education and Psychology, and her Masters Degree in Social Work from Simmons College and Graduate Program. Lisa began her career in numerous schools throughout Boston implementing innovative reading programs for elementary school children in their gifted and talented departments. She went on to run an Alternative program for adolescent teens, and work with children and families in a family service agency, psychiatric hospitals, and an alternative school for children in Austin. Lisa has done extensive individual and family therapy as well as running numerous groups and workshops in her practice. For 12 years she specialized in treating Eating Disorders and worked with a large population of women and teens. She has treated clients for issues with depression, behavioral problems, divorce, eating disorders, anxiety, stress, substance use, and numerous other clinical issues. As well as being a therapist, for the last 6 years she has specialized in the design and implementation of numerous parenting workshops and teacher trainings in various Eanes schools and Trinity Episcopal School. Her workshops and trainings focus on educating participants about Love and Logic Techniques, the most recent research on Brain Development and Brain Compatible Teaching Strategies, as well as integrating her training from the Gurian Institute on Gender Related issues. She is a Certified Trainer for Love and Logic, and a certified Trainer for educators and parents through the Gurian Institute. Lisa has a particular interest in the latest research on Cognitive Neuroscience, as well as gender issues. She has spent the past 6 years training with some of the best doctors, therapists, scientists, and presenters in the field of neuroscience and child development such as: Leonard Sax, Daniel Amen, Eric Jensen, Jim and Charles Fay, Michael Gurian, and Kathy Stephens. All are authors of numerous books on Neurocognitive research and gender issues. Lisa is married and has two boys in elementary and high school. In addition she loves working with children of all ages, and coaches kid-led teams for Destination Imagination, which is an international creative problem solving competition.